Road Trip Days 11-12 - Five States In A Day, A Fake Palm Tree, An Exploding Tire, Traffic and Kingston Arrival! We left Aberdeen, South Dakota, at 6 a.m. This was to be our one super long day - most likely 13 hours of driving plus stops. We wanted to make it all the way to Kalamazoo so that we could get into Kingston, Ontario, the next day at a decent time. It is best done as a 2-1/2 day drive, but that meant we would arrive during the day while our daughter and her significant other were at work. Oh well - only one day, RIGHT? This whole trip so far has been touched by luck. We haven't had a day of rain. Super hot days had just enough breeze to keep us comfortable. We've zoomed through all road construction areas and even easily found parking spaces in Yellowstone during high season. So we knew a day of reckoning was coming, we just didn't realize what a tough day it would be. If you look closely you can see sometimes there are 3 or for in one small area. YIKES! From Aberdeen we traveled east along highway 12, a small two lane that ambled in and out of equally small towns. You'd be driving highway speed, then have to slow way down to go through town, then accelerate back up to highway speed. It wasn't bad at first because there was a good distance between towns. We drove along uneventfully, perfectly centered between 2 nasty storms. To the north and south were black clouds with regular lightening strikes. We had a simple drizzle that came and went. The only note of interest here was when I spied what I thought was a palm tree along the road. 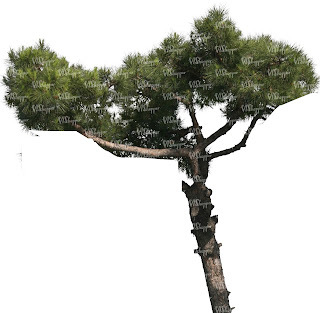 It was only when we got close I realized someone had trimmed an evergreen to look a bit like one. Unfortunately there was no time to snap a picture. This is a stock image below of something similar and I removed a few branches as well. Close as I can get. Did a little cropping to try to get the right shape. As we began to get nearer to Minneapolis, the towns became so close together that you annoyingly spent more time slowing down than anything. We were really happy to finally jump on a proper interstate and head east. All was fine until after Minneapolis. We started hitting regular construction areas. 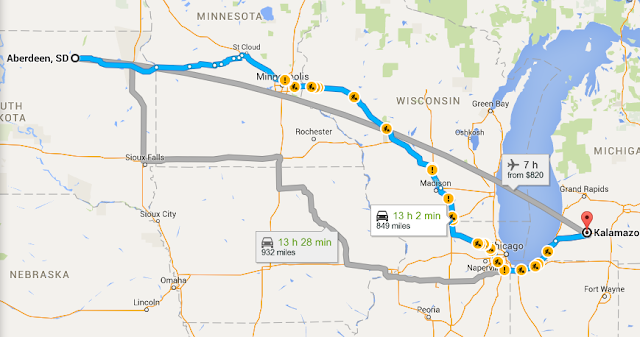 It wasn't too bad until halfway between Eau Claire and Madison, Wisconsin. Suddenly we were in a parking lot of cars and big rigs that stretched for miles. It took us an hour to go about 10 miles. When we finally got moving again we both breathed a sigh of relief. Unfortunately ahead was more. 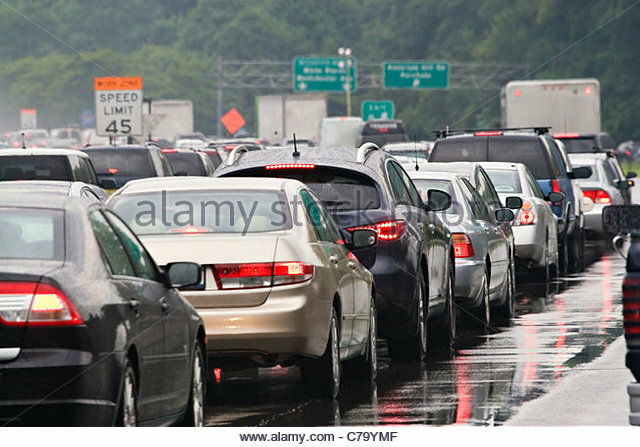 In fact, road construction would continue off and on for the next 300 miles. Thankfully there were periods of smooth sailing, but the construction zones were nerve racking and added a full 2 hours to our trip. An expletive arises as I think of the Chicago portion of this day, but I think I'll just say I'm never going back, at least in a car. In fact we have re-routed our entire return trip to avoid it. Tons of construction, toll roads that require you to pull off constantly and pay, super confusing interchanges (toll booth and toll exit road combined - unbelievably confusing), high traffic, frustrated drivers, people driving 70 mph in 45 mph zones and even exits you can only take if you have the special transponder. I have no idea what you do if you take one in error. Our GPS even lost it trying to offer alternative routes for the traffic congestion, road construction and more. Interestingly enough - it wasn't even rush hour. YIKES! Oases stop perched over the freeway. I was behind the wheel and have no idea how I didn't cause an accident. It's so messed up here, they actually have special turnoffs for visitors called Oases. 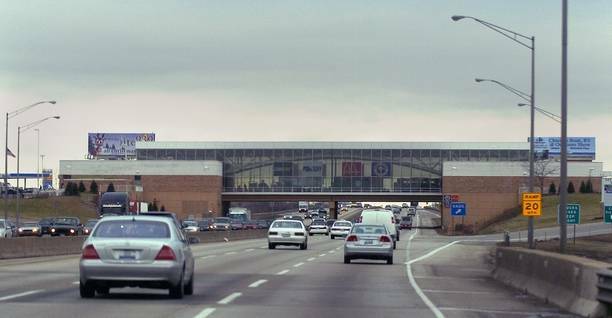 Here you are allowed to exit without paying another toll, get a place to get gas or park and spend time in their enclosed food/shopping mall over the top of the freeway. The scariest moment was realizing the person next to me towing an RV didn't realize black smoke was pouring from his rear axle/tire area on his trailer and his tire was wobbling back and forth, ready to fly off in my direction. I had to wake Glen up, catch up even with them, try to get the window down in Glen's car (managed to get every one down but the driver's) and point frantically while looking scared enough for them to pull over before the thing flew apart and hit us AND take an exit in 200 feet to pay my next toll charge. I was shaking. We also lost an hour with a time zone change (in addition to the 2 hours lost to construction), so rolled into our hotel room at midnight. Our 13 hour plus stops trip turned into a 17 hour marathon of hard work. We were exhausted but wired. It was 1 a.m. before we finally got to sleep. What a day. Fortunately the driving today was uneventful. We did see construction and closed roads, but everything moved a decent speed and the detours offered got us to the Canadian border right on schedule. I was never so happy to see a border in my life. 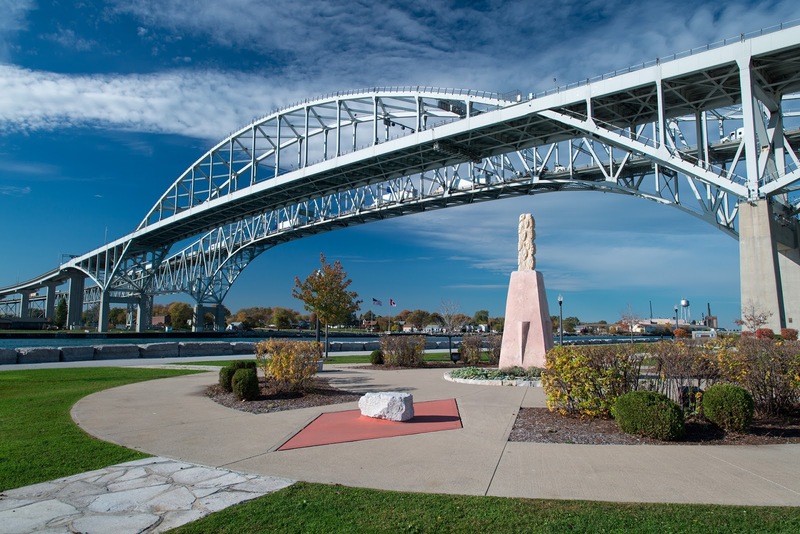 The Blue Water Bridge Border Crossing from Port Huron (US) to Sarnia (Canada) is via a large bridge spanning the St. Claire River. With lots of booths open, it was only 15 minutes before we were on our way. After that, all went smoothly. We took the 407 Expressway to avoid rush hour in Toronto and arrived in Kingston a bit early - only 7:40 p.m. Lots of time to unwind, unpack and hug our daughter. Her significant other even made us dinner. Only 2 notes this day. One was getting to turn my phone back on. We decided to put the US plan on Glen's as it was a little cheaper and use mine in Eastern Canada because I had a Canada-wide plan. 11 days of being reliant on someone else's phone and having to ask if I could use some data put me on edge. I'm used to my independence. The other was a truly funny moment. I was a zombie mentally after yesterday's 17 hour day. In fact, Glen drove all but one hour, thank goodness. We stopped at one of Ontario's OnRoute rest areas to have lunch. I'd had lots of coffee but the brain fuzz just wasn't lifting. In a total daze I not only walked into the men's restroom, but kept going even though I saw the urinals and watched a guy combing his hair. I couldn't figure out why the men were looking at me. Fortunately I finally clued in before I went into a stall. As I humbly left, I had to keep telling the men walking in who saw me, "My fault." as they thought they'd gone in the wrong restroom. Nope just me. You know you're tired when you go in a washroom and see urinals and men combing their hair and it doesn't faze you. Guess I'm totally ready for gender-less bathrooms as even walking out I just didn't care.